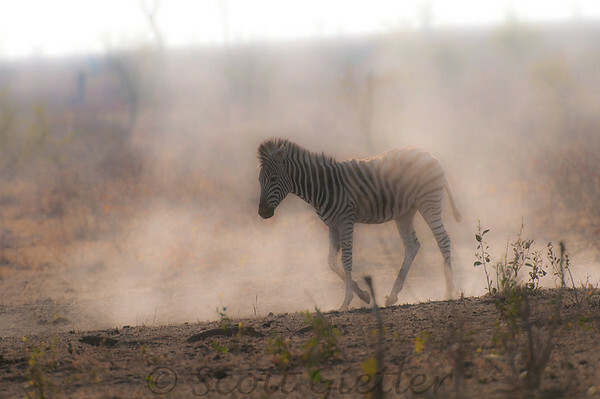 Kruger park is a trip of a lifetime that everyone should do if possible. 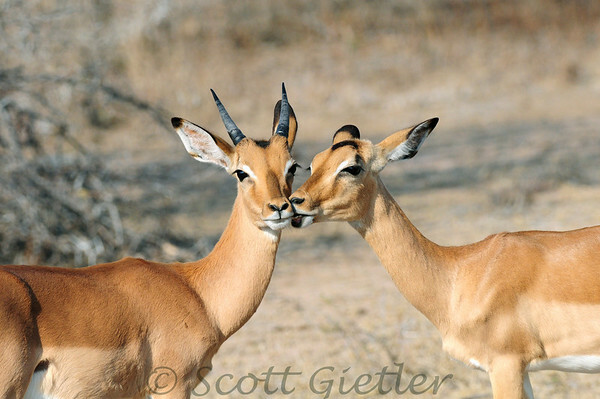 I went for two weeks focusing on wildlife photography. Don't forget your camera! 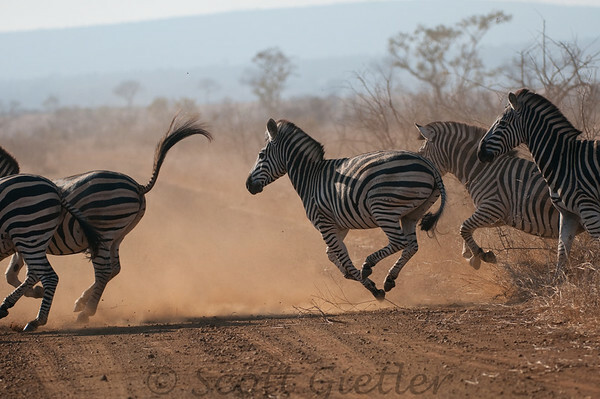 $2900 per person for 16 days/nights in south Africa (15 nights in the park), including airfare. This is based on 2 people sharing. We were not trying to cut costs and you can do the trip for much cheaper (except the airfare). 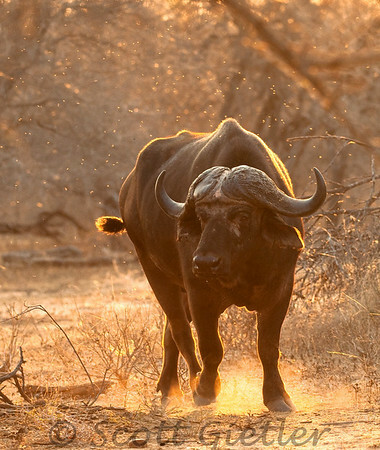 How to visit Kruger Park and see animals - it's easy! 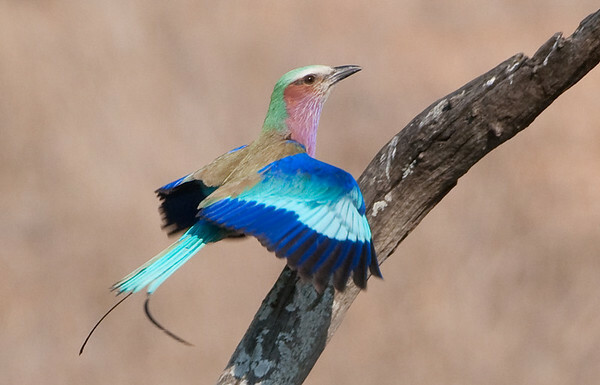 Kruger national park lies in the NE corner of south Africa, bordering Zimbabwe and Mozambique. We flew direct from the Atlanta airport, it was a 14-15 hour flight to Johannesburg. It was a 4-5 hour drive from the Johannesburg airport, and the driving was very easy on clearly marked major roads/highways. 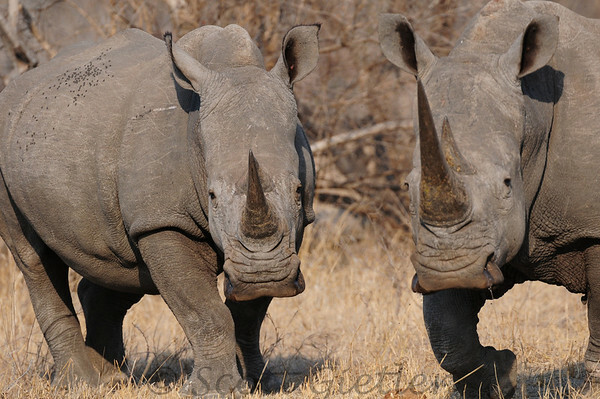 There are about 20 large "camps" in Kruger Park, most with very nice private bungalows. We had AC, our own bathrooms, kitchen, fridge, etc. On the way to the park we bought 2 coolers to keep food cold while driving in between camps. Many camps have a store, restaurant, gas, etc. the camps are surrounded by electric fences. There are other options for accomodation (cottages, huts, tents, or camp yourself). South Africa is a 1st-world country, and you can drink the tap water. We drank it every day without a problem. We moved around to several different camps during the trip. 2 camps have international ATM’s and 2 camps have small internet cafes. All have cell phone coverage. May – Oct is not as hot, drier, less mosquitos, and it’s easier to see wildlife. Nov – Apr is greener, hotter, rainy, with more insects – but people still enjoy their trip then. awake at 4:40AM, had cereal and coffee, at the camp gate by 5:55AM, drive around until 12, eat a big meal at 12 or 1PM (usually eggs & bacon, or steak + potatoes), stop at the store, drive around from 2-6PM, have a light dinner (salad + soup/noodles), in bed by 8:30PM. Kruger is a self-drive park and you do not have (or need) a guide. You are not allowed to leave your vehicle. We did go on 3 guided night drives in open vehicles. We rented a Nissan X-trail 2x4 SUV-type vehicle from Thrifty, which was perfect for the trip. Photography is done out the window, which usually works quite well. Being able to do what you want, on your own schedule, is priceless. The rear windows only go down half-way, but we stayed in the front so it didn't matter. it was mostly sunny, no rain, up to 90 degrees during the day, down to the 50’s at night. It was a dry heat, and it was always comfy inside the air-conditioned vehicle and bungalows. No biting bugs that we noticed. It was low season for mosquitos. Typhoid (taken as pill), Hepatitis A, Malaria pills. For US residents, no visa is needed, and there are no airport taxes. The airport was modern and efficient. I had my Nikon d300 camera with a 200-400mm F4 VR lens in my lap the entire time (with an 8 gig mem card), and my Nikon D80 with a 18-200mm VR lens next to me. The nikon 200-400mm lens is the perfect lens for wildlife photography. Renting a lens is also an option, there's several camera shops in Johannesburg you can find on google. I was sometimes putting on and taking off a 1.4x teleconverter on my 200-400mm lens when it was needed, (for subjects far away), but I preferred to shoot without it for maximum image quality. Haze blurred subjects far away anyways in the mid-day heat. I used the 1.4x tele maybe 25-30% of the time. On rare occasions I put on my Sigma 10-20mm lens or 105mm macro lens onto my D80 for particular shots. I charged my D300 battery each night, and downloaded the photos onto my laptop. I shot raw + jpeg and often reviewed and deleted photos throughout the day. On night drives I also used my SB600 speedflash with a Better beamer (Fresnel lens) to extend the flash far distances. The window was always slightly rolled up, with a rice bag laying on the window so I could lay my camera lens on it for support. Other people use bean bags which are supposed to work better. My father always drove and he usually positioned the car so I could face the subject. Occasionally I would shoot out of his window, he would extend both his arms so I could lay the camera on them and it worked quite well for support. I never used a monopod or tripod. Most of my shots with the 200-400mm VR were shot at F4 in aperture priority mode. I sometimes dialed in -0.3 exposure compensation. I sometimes shot in manual if I wasn't getting the exposure's I wanted, and always for elephants. My ISO was usually between ISO 200-500, and often at ISO 800 if the light was not great, in order to get fast shutter speeds. For shots far away, or for action shots I liked to try to get at least 1/500th of a second, especially when using the teleconverter. A couple shots at dawn and dusk I shot at ISO 1250 or 1600 and they look great - my D300 performed nicely! Of course the key at high ISO is to expose the image properly (nice and bright), then you won't see much noise. Elephants charged us several times while we were in the car, and one time while we were on foot with a few other people, in front of a drive-up bird hide. We all quickly ran into the bird hide, luckily the elephant didn’t knock down the hide. When the elephant was gone, we ran into our car and drove away. Of course we had to drive past the elephant, which charged us again, basically saying "get out of here". Most elephant charges are "mock" charges and no trip would be complete without one. Elephants are huge, and are clearly the kings of the jungle. 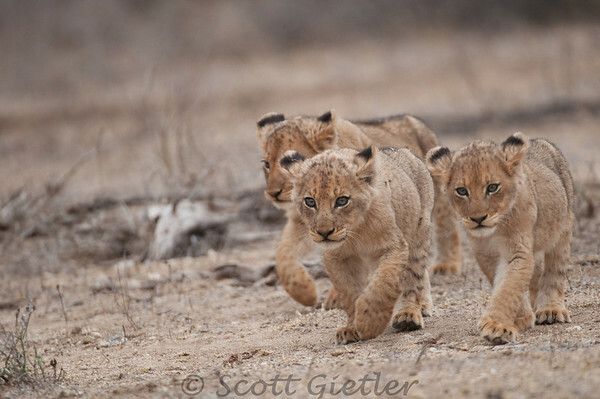 While shooting the lion cubs, a large male lion practically walked under my arm. My father tried to tell me, but I said “don’t bother me, I’m shooting the cubs”. The lion was too close for a photo anyways. 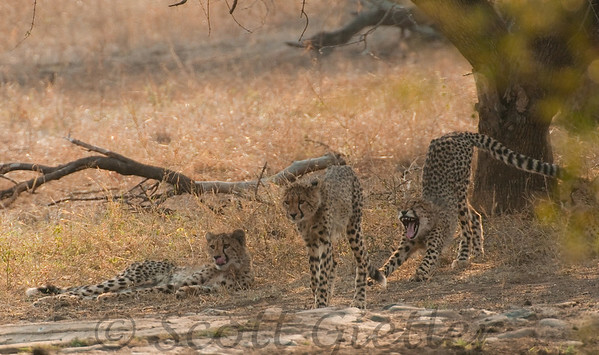 I had seen and photographed 4 leopards early in the trip, but I wanted a close-up shot. we did 3 leopard stakeouts that came up empty. we waited 4 hours one morning at a leopard kill to see if it would return, one evening and one morning at a bird hide at a dam where a leopard is frequently seen. well at least we tried. But our luck was about to change. It’s rare to find a leopard on your own, even rarer to find it in a tree, with a kill, by yourself. We found a leopard in a tree, with a kill by ourself on our last day in the park. 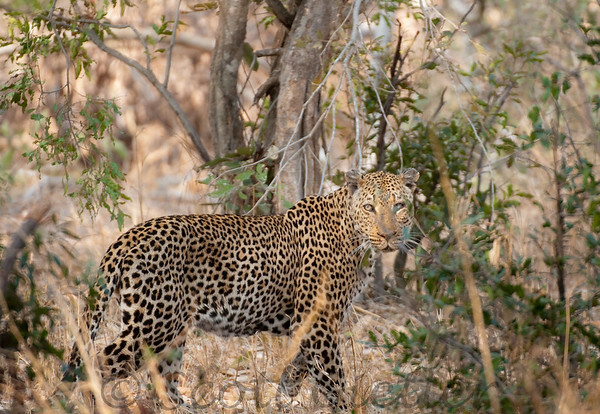 After a while we made the leopard aware of our presence and it moved very fast, gave us a growl and disappeared. That was an intense moment I’ll never forget for my entire life. Well I won’t forget the angry elephant either. One camp we stayed in was a tented safari camp. The camp is rustic, forested and the safari tents are awesome – they are huge, they have wooded floors, fans, lights, etc. We slept great there. Well, it turns out the night we stayed there a leopard was also INSIDE the camp. It was shot and killed inside the camp 2 days later, I read all about it online. Holy cr*p, we were in a camp with a leopard! Good thing we always had large knives on our belts. Baby elephants are hard to get close to because the herd is very very protective. we were lucky to get very close to a baby drinking milk from it's mother, the mother didn't seem to mind us being there. We just sat and watched for 30 minutes, with no other cars around! we were also lucky enough to catch young giraffes, impalas, baboons, lions and zebras drinking milk. This normally happens in quiet areas when no one else is around because the animals feel very vulnerable when this is going on. We often had to rush back to get to the camps before the gates closed at 6PM, sometimes we were late and arrived at 6:03 or 6:04PM. The best stuff always seems to come out at 5:55PM, like this group of 30 mongoose we saw in the road, or river otters swimming in the lower sabie river, and a flock of 50 guinea fowl crossing the road, or a lion in the distance, or ostriches in the road. Sometimes you were on the road with 20 other cars (with lions), sometimes you could be by yourself for an hour. It’s a big park with lots of roads. We had one flat tire, luckily it was a very slow leak and we changed to the spare inside a camp. A tire-repair place was nearby (they have them in the park to service the numerous park vehicles), and after 20 minutes were had our regular tire patched and back on. We really had no crime or bad experiences to speak of. We photographed a total of 65 lion, 40 rhinos, 18 hyenas, 8 cheetah, 5 leopards (and barely missed 3 others), and 5 wild dog. Countless other animals. What a fantastic trip!!!!! We also saw zebra, wilderbeast, buffalo, elephant, giraffe, river otter, african wild cat, honey badger, genet cat, crocodile, hippo, mongoose, impala, roan antelope, tseebe, duiker, grysbok, steenbok, reedbuck, bushbuck, waterbuck, kudu, ostrich, baboon, vervet monkey, chameleon, hornbill. Lots and lots of all these species. Photos of the camps, scenic photos, etc. Please let me know if you enjoyed the photos, found this information useful, or are planning a trip to Africa yourself!